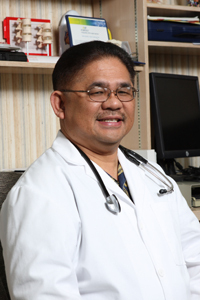 Dr. Charlie Sonido MD, Inc is one of the well established clinics in Hawaii with a unique mission statement in mind. More than having state of the art equipment, it has an organized and caring staff. The clinic's goal is to serve both the the citizens and medical community of Oahu. The clinic primarily treats adult medical patients. It is equipped to deal with whatever medical problem the patient has, no matter how common or rare. Knowledge is continually updated in many areas. Aside from direct patient care, the clinic also provides medical consultations. When other physicians are involved in the patient's care, the clinic coordinates their care for the patients and manages difficult medical problems associated with that care. Internal medicine specialists often serve as medical consultants to physicians in other specialties.